The Series 9 Warm Clear Supermist 3 Filter from Formatt is used to remove the inherent sharpness of today's modern high-resolution lenses with the added benefit of the addition of a gentle warmth to the image. It is also valuable in helping to smooth out facial blemishes. The results are a more flattering, pleasing and natural look to portraits. Another benefit of Formatt lenses results from the tightly controlled manufacturing process that provides consistency from filter to filter. 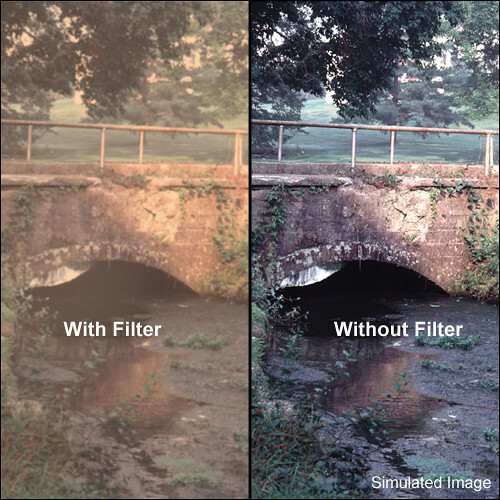 This means you can switch similar filters in the middle of a shoot or from day to day and still maintain the same look. The #3 Warm Clear Supermist is the same as the Standard Clear Supermist with the addition of a degree of warmth to the image. It has the same effect on skin tones as the Clear Supermist - smooths out skin tones and softens the harshness of modern video lenses.